Top quality PVC covers with foam infill and verlcro fixings. 100mm square x 1.2m high. Can be supplied in a variety of single colours. Price is per set of 4. 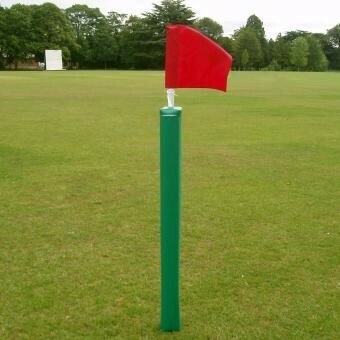 Two and Three coloured corner post protectors are also available on request. These pads can also be printed with school, club or sponsors' names. Price on application.